Almost half (49%) of millennials consider transport links to be a top consideration when buying a home, and with an average annual commute spend of £1,016, it is no wonder[i]. 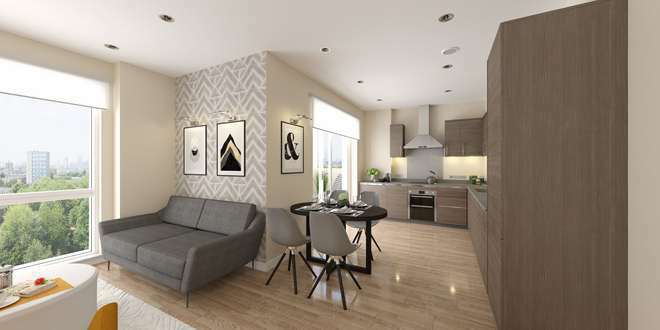 Homeowners looking to find a well-connected new home will be pleased to discover NEO, L&Q’s latest development in sought-after Stepney, launching this autumn. 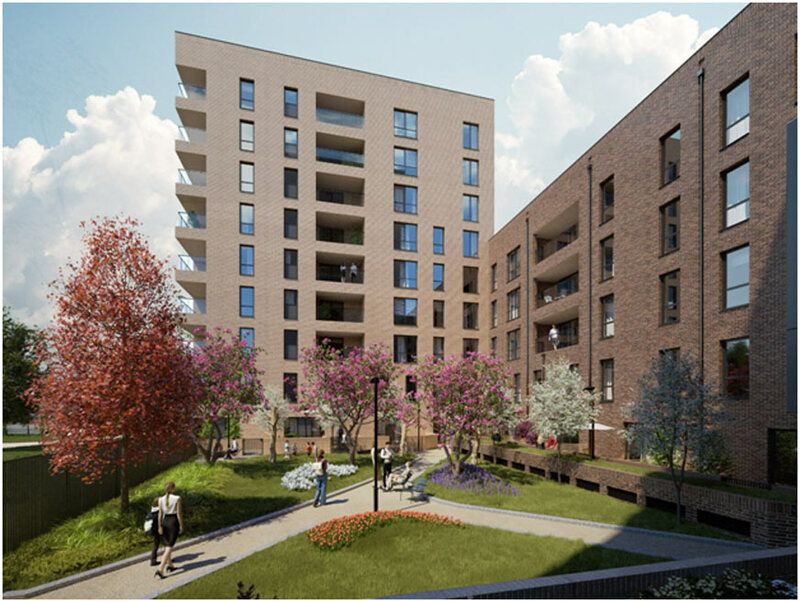 Available with the London Help to Buy scheme, residents will benefit from a Zone 2 connection, with Limehouse Station just a five-minute walk away, connecting to Canary Wharf and Liverpool Street in under 10 minutes. Whitechapel station, under one mile away, will also boost a Crossrail connection in December. According to research, homeowners in proximity to an Elizabeth line station can expect to see a 19% uplift in property values along with the increased travel options[ii]. NEO, located on the former Ocean Estate, will comprise a contemporary collection of 104 one and two-bedroom apartments for private sale and 29 one and two-bedroom apartments and three-bedroom maisonettes available with Shared Ownership. Ideal for young professionals and city workers wishing to cut their commute, all homes boast sleek, open plan interiors, whilst some plots will offer balconies complete with city skyline or canal-side views. The development will also boast its own gym and concierge service, perfect for busy lifestyles. Stepney is fast becoming a cultural hotspot, alongside newly regenerated neighbouring areas such as Hackney, Whitechapel and Bow which have also enjoyed a cultural resurgence. When it comes to entertainment, residents at NEO will be well placed as the development is surrounded by a wide mix of galleries, artisan cafes, craft beer pubs and live music venues, for example entertainment venue, Troxy, situated on Commercial Road, which has a year-round calendar of live music performances. Further afield, South Bank is just half an hour away with its iconic theatres and galleries, and closer to home is Whitechapel’s Brick Lane, a popular shopping and food hub. Set on Aston Street, NEO is located nearby the Regent’s Canal and within walking distance to local green areas including Stepney Green and Mile End Parks, where you can find an extensive modern gym, swimming pool, football, hockey and netball pitches, tennis and badminton courts and an athletics stadium. Virgin Active at Canary Riverside offers fantastic panoramic views while you work out. For those who don’t want to travel far from home, NEO will also boast a private residents’ gym. Residents at NEO will also benefit from being within easy access to Stratford, where the Mayor has recently unveiled his £1.1 billion vision for the East Bank at Queen Elizabeth Olympic Park, creating a new powerhouse of culture, education, innovation and growth. In addition to this Stratford also boasts a world class shopping experience at Westfield Stratford City shopping centre, offering over 250 shops, restaurants and leisure facilities. Limehouse Station is a five-minute walk away from the development, offering connections to Canary Wharf in five minutes, and Liverpool Street in nine minutes. Stepney Green station is also within walking distance, connecting residents to Whitechapel, Monument – and London Victoria within 22 minutes. Crossrail is due at the end of 2018, which will further transform Stepney into a major hub, with trains to Bond Street in 10 minutes, and connections to Heathrow in 38 minutes. There are also plenty of bus routes, and major roads that pass through Stepney, making sure that homeowners are always connected. London City Airport is only six miles away for those who like a spontaneous weekend break, or perhaps need to connect to Europe for work. Prices start from £441,000 for a one bedroom apartment. Help to Buy will be available on selected homes. For more information and to subscribe your interest to receive sales and launch information, please visit www.neostepney.com or call 03332341165.